After the spectacular day of fishing Bobby had yesterday while I was at work, I was itching bad to get out! The weather looked great and my girlfriend and I made plans to hit the water when we woke up. It was just before 7 am when we were pulling away from the boat launch. We had hopes of catching some perch but after a little of an hour without marking a single fish on the graph, we decided we had better switch up gears and look for some other fish. We didn’t really care what we caught but along the shore line we could see a lot of fish. The next step was to figure out what they wanted and the best way to catch them. We had crankbaits, plastics, worms, and everything in between! One of the options surely had to work. 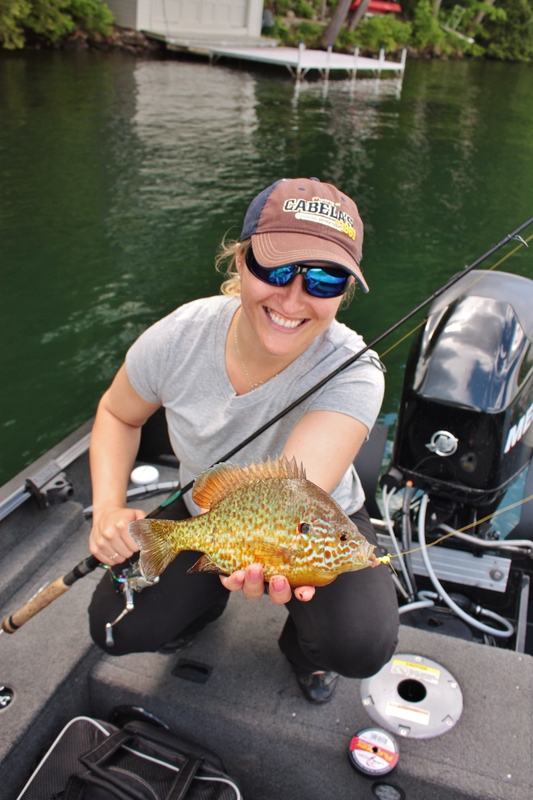 The majority of the fish we could see were bluegill and rockbass. Perfect specimens for dinner tonight! We started off tossing the “Live” Baby Shad from Lake Fork Trophy Lures. Although we were able to catch some fish, we were missing a lot more. Our next change took us to live bait. Fishing an 1/8 ounce jig under a bobber, we started a slow drift paralleling shore. 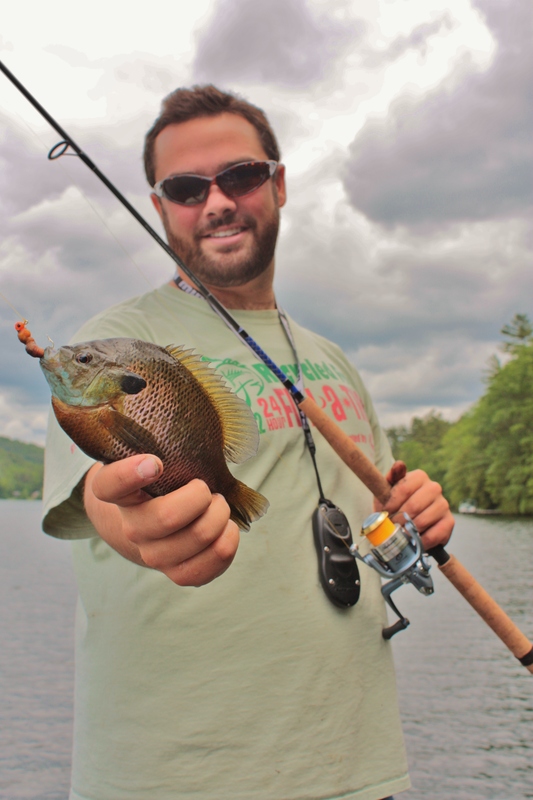 Throughout the course of the day, we found that if there was wood in the water, big rockbass were holding nearby. 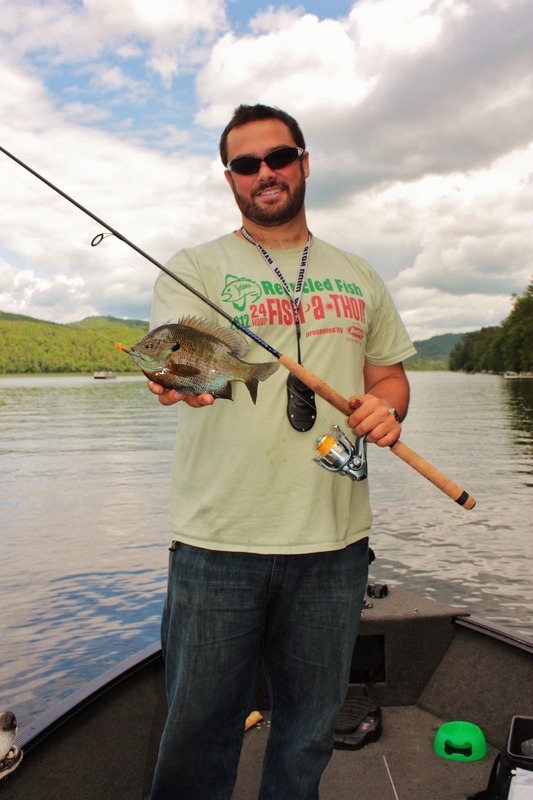 The better sized bluegill we found were holding in weeds near their spawning areas. Particularly, open and weedless gravel bars. Most docks held fish but docks constructed of wood and lower to the water were the most productive. 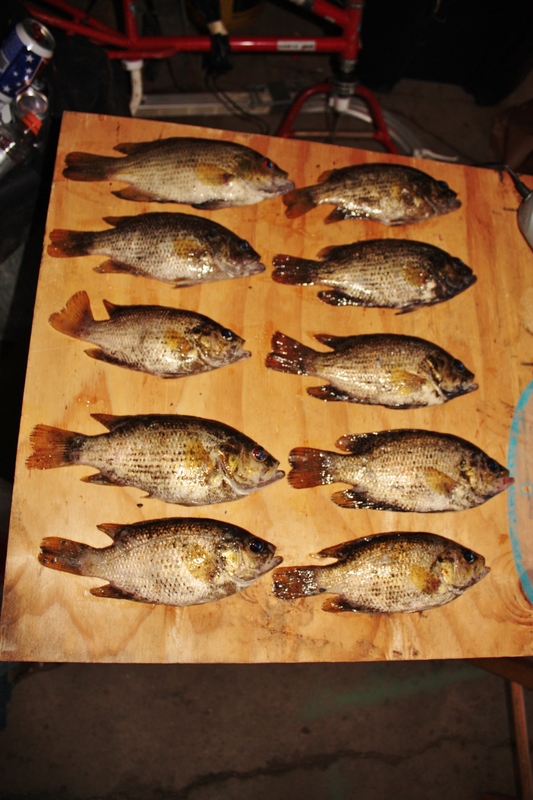 We ended up keeping 10 rockbass for dinner and sandwiches the following day. Not a bad way to wrap up the weekend!